Brea Junior High School is excited to welcome you to our campus and excited to share with you all that BJH has to offer your student. 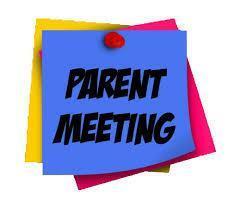 Two informational sessions for incoming 7th grade parents will be held from 6:30 pm to 7:30 pm in the Brea Junior High School auditorium. All parents with the last name ranging from A-L are invited to attend Tuesday, March 26th and all parents with the last name ranging from M-Z are invited to attend on Wednesday, March 27th. Please know that you are welcome on whichever night fits your schedule best! Go Bobcats! In partnership with PTA Council, BOUSD would like to invite our families to join us for a Parent Information Meeting on Thursday, March 21 at 10:30a and 6p (two times offered) to learn more about The California Healthy Youth Act (AB 329) and the future of Health Education in Brea. Please see the attached flyer for additional information. 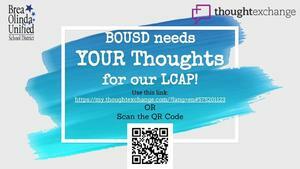 Please contact the district office at 714-990-7800 with any questions. Apply for the BOHS Global IT Academy Today! Is your 8th grade student interested in computer science? It is now time to apply for the Global IT Academy (GITA) at Brea Olinda High School for the upcoming 2019 - 2020 school year? 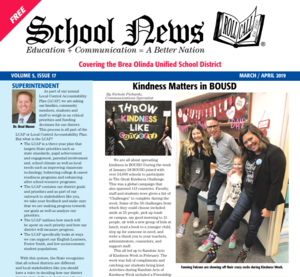 The Brea Olinda Unified School District (BOUSD) Board of Education has approved the academic calendars for both the 2019-20 and 2020-21 school years. The first day of school for the 2019-20 school year is Monday, August 19, 2019 and the last day of school is Thursday, June 4, 2020. The first day of school for the 2020-21 school year is Monday, August 17, 2020 and the last day of school is Thursday, June 3, 2021.